In a quarterly report by Parse.ly, Facebook has pulled ahead of Google in referral traffic. Apparently from May through July, social media made up 43% of the total referral traffic while search made up a smaller 38% of the traffic. Even though Google is still an important channel for website traffic, it’s the fast and significant traffic growth from Facebook that’s most notable in this finding. In October last year, Google’s executive chairman Eric Schmidt has mentioned that the company’s biggest competitor is Amazon. Recent research has pointed out that in fact the most formidable competitor is actually Facebook. In July 2015, a cloud-based marketing company, IgnitionOne discovered that while Google’s display advertising went down by a small 9 percent, Facebook’s display grew by 48% year over year. Apparently, Facebook is not only a search contender, but also challenges YouTube. 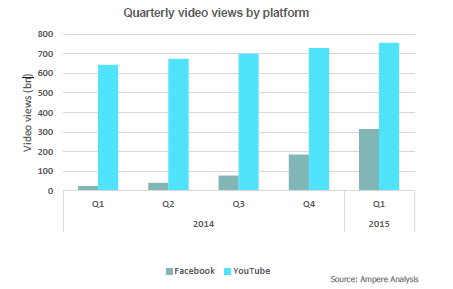 In less than a year since it has launched a video-friendly algorithm, the social media has peaked to 4 billion daily video views. At this rate, it would be interesting to see how social media develop into year 2016.